Ian Young, MD, received the first annual Teacher of the Year award from the Winona Health medical staff. The award is based on feedback provided by medical students during their clinical rotations at Winona Health. Each year, Winona Health provides opportunities for students on their path to becoming a physician, nurse practitioner, physician assistant or certified registered nurse anesthetist, to complete their clinical rotations under the guidance of Winona Health physicians. The Des Moines University School of Medicine & Health Sciences students who nominated Dr. Young noted that the opportunity to work with Dr. Young is one of the reasons he chose to return to Winona Health to complete an additional month of training. In presenting the award at Winona Health’s semi-annual medical staff meeting, Chief of the Medical Staff, Brett Whyte, MD, noted that Dr. Young is approachable, patient and open to teaching all students. Students gravitate toward Dr. Young and he does a fantastic job with students. Dr. Young joined the Winona Health Medical Staff in 2014 and sees patients in Urgent Care and Emergency department settings. 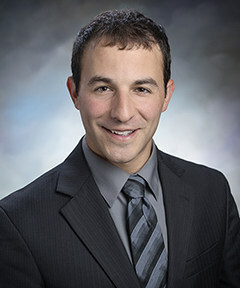 For more information about Dr. Young and other healthcare providers at Winona Health, visit www.wionahealth.org and click Find a Provider.